A few years ago, when I was serving in a big urban church, a parishioner who was also a screenwriter explored the possibility of producing a television drama about a church. She interviewed the staff and wisely decided one of two things. Either the show would be really boring or no one would believe what goes on. Maybe her angle was wrong. Perhaps it should have been a comedy. As an aspiring cartoonist who does a lot of drawings about the church, I note no shortage of material. It’s easy to say we pray. We’ve heard a lot in recent days about thoughts and prayers. Tragedies striking our common life (shootings in Las Vegas, fires in Northern California, storms in Puerto Rico, Florida and Texas) have been on our minds and in our prayers. I suspect we all have personal storms, private turbulence that weighs on our hearts, minds and spirits. We know those struggles in the lives of people we love. As we’ve heard people express their concern, offering thoughts and prayers, the question has been raised: Is that enough? Is that too easy? Is it a dodge? A bromide? A dismissal? All of this points to the connection of prayer and action. How do we pray not only with our lips but with our lives? All of this leads me to think about the mystery of prayer, which is more about changing us than it is about changing God. It calls me to draw on the wisdom of spiritual heroes who knew no separation between contemplation and action in the world, people like Thomas Merton and Dorothy Day and Richard Rohr. And the brothers at Holy Cross Monastery folks. Decades ago, a few of them made their way to South Africa as apartheid was unraveling. Church leaders there invited the brothers to come to the country to model life in community, since the violence of the previous regime had left people without those skills. A few of them went, like many characters in the Bible, not knowing where they were going or what they would find or what they would do when they got there. As they describe that time, they say they went and simply said their prayers, observing the monastic hours throughout the day. They began with prayer, waiting for God to show them what it is they were called to do. Before long, the tragic death of an unattended child on train tracks bordering the monastery’s property revealed the mission. It would be about caring for the poorest in this town, tending to children too often left alone for too long. It would be about starting a school, providing quality education equal to the best schools in the country. It began with thoughts and prayers, which were indispensable. But it didn’t end there. They’ve done something beautiful for God. These days, our thoughts and prayers are with victims of a mad shooter, victims of nature’s fury, victims of abuse by people in power, victims of indifference, victims in a world with devils filled that threaten to undo us. The thoughts and prayers, contemplative acts, are the beginning of a response. They lead us as baptized persons to strive for justice and peace and respect the dignity of every human being. What specifically can we do towards that end? If you’re not sure, pray not only for those who suffer. Join me in prayer, asking God to show us how to respond, how to help, how to heal, what to do. Have you ever changed your mind? How did that happen? As is often the case, converging thoughts from separate sources have made me reflect on my own state of mind, what led me in the past to change my mind, how resistant I am to that kind of change. It started with a friend who reported he was taking a break from social media, convinced that Facebook was comparable to a pulpit, i.e., that piece of furniture that stands six feet above contradiction. My friend wondered: Has anyone ever really changed their political or religious point of view because of something they saw posted on Facebook? We could say the same thing about cable news, where viewers gravitate to punditry that confirms what they already believe. In my work focused on spiritual growth, I often ask about what has helped people change or grow. Most often I hear that such as an experience has to do with challenge, crisis, or suffering. Often, it has to do with a relational experience, sitting down with someone who has something to teach us, breaking out of the bubble. The chaotic state of our world right now indicates that we could benefit from that kind of conversation. That same chaos also suggests that we can’t keep doing what we’re doing, that we need among other things, a new mindfulness, a change of mind. But what does that change look like? Is it change for change’s sake? Change in what way? What’s our compass? About the time my wise friend chimed in with his social media sabbatical, I came across readings for the first Sunday in October, which have been on my mind since, as they talk about a change of mind. One of the readings was about the children of Israel in the wilderness, GPS deprived, challenged but also formed by that experience. They came out a new people, with a new mindset. Their minds were changed. That same Sunday we eavesdropped on Jesus’ conversation with religious opponents, folks unable to see the new and amazingly gracious thing that Jesus was bringing into the world. The gospel writer says it simply: The professional religious people of the day refused to change their minds. Which makes this professional religious person ask again: How is it that people change their minds? And change to what? The third reading for the day helped. (It helped so much I included it below) St. Paul writes to the beloved Philippian church about their state of mind. He calls them to be of one mind. (Imagine!) And he invites them to discover a new and different path. He encourages them to have the mind of Christ. Change we can believe in. What does that change look like? The mind of Christ has to do with an attitude of humility and service, a mindset oriented toward the other. Paul confirms that we can experience that state of mind as well. In another passage from his letters, St. Paul calls his readers not to be conformed to this world but to be transformed by the renewing of their minds (Romans 12). Said another way, by the changing of their minds. Which comes from following Jesus, as simple and complicated as that may be. It could be said that Jesus came into the world to change our minds. To make our minds repositories of love and compassion. To give us the power to change, when left to our own devices, we’re stuck. did not regard equality with Godas something to be exploited,but emptied himself,taking the form of a slave,being born in human likeness.And being found in human form,he humbled himselfand became obedient to the point of death-even death on a cross. that is above every name,so that at the name of Jesusevery knee should bend,in heaven and on earth and under the earth,and every tongue should confessthat Jesus Christ is Lord,to the glory of God the Father. Years ago, Life Magazine featured a two-page spread of photographs, a mosaic of images of Jesus from around the world, portraying a Jesus who might have grown up in Africa or Asia or South America. To me, the most jarring of the images came from the Scandinavian tradition, which portrayed Jesus as a Bjorn Borg look alike. I’m not sure what the historical Jesus looked like. I’m pretty sure he wasn’t a blondie. For me, the collection of images indicate our tendency to make Jesus into our own image. You’ll be shocked to learn that people often use religion to affirm what they already value, confirm status quo, ratify existing (and dearly held) points of view. We hear reports that Jesus favors one candidate or policy over another. On social media, people claim they know exactly what Jesus would do about divisive issues of our time. All I know is the guy was full of surprises, comforting the afflicted and afflicting the comfortable. I recalled the Life Magazine photos when I recently read an article by Dallas Willard, professor of philosophy who spent 48 years teaching at U.S.C., a theologian known for writings on Christian spiritual formation. In this article, he spoke about his work with churches and religious schools, trying to measure spiritual vitality. For him, this kind of growth was about growing in Christ-likeness. It stood in contrast to those Life magazine images, suggestive of the ways we try to make God or Christ in our own image. Dr. Willard challenged readers to think about how we might change to become more like Christ. But what does that mean, to be like Christ? I’m sure there’s not one answer. But try this exercise this morning. Think of five attributes of Jesus, based on what you know of him. Can you make some commitment to be more like him in those five ways? He valued simplicity, born as a refugee in a stable. He was itinerant, often homeless, and navigated all that with joy and freedom from anxiety. He was big on forgiveness, even forgiving his torturers and executioners. It makes me think he knew how to manage the kind of petty resentments that drive me nuts. He paid attention to people no one else liked or noticed: the rich and wildly unpopular Zaccheus, the crazy guy in the cemetery, the woman at the well with a scandalous past, those incompetent and fickle fishermen (who apparently never catch a fish without Jesus’ help). He went off by himself and prayed a lot, recognizing the need to appeal to the one he called Father, to a higher power. There’s more of course. I’ll stop there and ponder these five, focusing on them this week. Rather than trying to make Christ look more like me, I’m going to try to make some shift to look more like Christ, try to bring that shift to my work, to my responses to the troubled state of our world, to my relationships, my family and friends. A clergyman I admire offered the following wisdom in a wedding homily. He charged the couple standing before him to be Jesus for each other. In other words, to be more like Christ. did not regard equality with God as something to be exploited, but emptied himself, taking the form of a slave, being born in human likeness. And being found in human form, he humbled himself and became obedient to the point of death- even death on a cross. I’m wondering if it’s your time to ask Rabbi Kushner’s question: Why do bad things happen to good people? Maybe you ask that question all the time. The question has come my way lately, with a big challenge suddenly faced by a friend I care for and deeply admire. It’s basically inexplicable. At times, maddeningly sad. I’m guessing you know about such challenges. They come in great variety. As one of my mentors says, suffering is the promise life keeps. How’s that for a cheery kickoff to Monday morning? Part of why I spend time reading the Bible is because scripture knows and shows that these kind of questions make up our stories. Most famously, the book of Job raises the question but resists any neat answers. Psalmists repeatedly ask where God has gone. Jesus posed the question, echoing Psalm 22: My God, my God, why have you forsaken me? In such moments, about the worst response one can offer is something that tries too quickly to make sense of it all. Job’s friends, prime example, offering something that ties it up in a neat package, often more about easing one’s own discomfort than supporting those who suffer. I have in mind sayings like: “God never gives you more than you can handle.” “God never shuts a door without opening a window.” All feed into the Gary Larson cartoon image of God at the computer, watching the falling grand piano about to smash an unwitting pedestrian, God pressing the smite button. Do we worship such a God? If you’re asking the bad things/good people question, there may on occasion be explanations for the challenges, something we have done or something done to us. Too often, there are no available easy answers. So we are led to the prayer from the burial service which asks for God’s help in the midst of things beyond our understanding. And we withstand when we can’t understand. We proclaim when we can’t explain. What we proclaim is God’s presence, often felt most deeply in love and prayers of others. We proclaim resurrection, which literally means “to stand again.” When folks we love get knocked down, we move forward with them and for them, helping them stand again. We say our prayers with them and for them, prayers with our lips and with our lives, prayers that may be no more or less than silent, faithful, loving presence. We give thanks for what we are able to give thanks for. And if the attitude of gratitude is too hard, we let someone else do the thanking and praying. With courage (it suggests both bravery and heart), we hold on to hope. St. Paul, who knew suffering and challenge, prayed about it, occasionally whined about it, asked for relief from it and didn’t always get relief. He referenced his own suffering in the letter to the Romans. Speaking of his own experience, he said suffering brings endurance which brings character which brings hope because God’s love has been poured into our hearts. (Romans 5). When we find ourselves in times of trouble, when understanding or explaining elude us, when we can do no more than withstand, in those moments a positive spirit, a sense of hope and promise becomes our guide. Easier said than done, I know. But something we are each and all given to do at some time. Maybe this Monday morning is that time for you. Blessings in this time. I pray to the God within me that He will give me the strength to ask Him the right questions. Don’t lose hope… Have faith in life… Help each other. That is the only way to survive. Tomorrow we observe the Feast of Independence Day (a.k.a, the Fourth of July). It’s one of the few secular holidays that has found its way into the church calendar, along with Thanksgiving and Labor Day. Appointed scripture readings and prayers help us reflect on who we are called to be as a nation. The feast indicates that our lives as citizens are related to our lives as followers of Jesus. The feast has to do with more than hot dogs and hamburgers, though I won’t turn those down. It has to do with a sacred celebration which invites us to ask this holy stewardship question: What do we do with the gift we’ve been given in our common life, as a nation blessed with remarkable prosperity and unprecedented freedoms? As Episcopalians, who claim that praying shapes our believing, we can look to the collect crafted for this day (below), and see what it says to us this Monday. Look at what we pray for. We ask that we may all have “grace to maintain our liberties in righteousness and peace.” So join me in reflection on that word righteousness. Righteousness means so much more than being right or even being good. In scripture, righteousness suggests right relationship, with a recognition that so many of our relationships are out of whack. What does it mean to be a righteous nation? It seems to me that it is about building relationships marked by healing and wholeness, mending places where relationship is broken. The scriptures (you can look them up…a nice spiritual discipline for a day off) appointed for the Feast of Independence Day speak to the character of this common life. There’s a reading from Deuteronomy (10:17-21) written to the people of Israel before they entered the promised land and started to figure out what it meant to be a people. The reading talks about the character of the nation: executing justice for orphan and widow (the neediest, the marginalized), loving the stranger and providing food and clothing for them. Maybe this is one of those places where folks say we don’t need to take scripture literally. But at face value, the righteousness of a nation has to do with how we treat the least among us. Across the political spectrum, folks will disagree about how best to accomplish that. But the goal seems clear. The psalm chosen for the day (Psalm 145) reflects God’s character as loving to everyone. “Compassion is over all God’s works. The Lord upholds those who fall, and lifts those who are bowed down. The Lord opens wide his hand and satisfies the needs of every living creature.” Again, scripture indicates a community marked by healed relationships. The New Testament reading from Hebrews (11:8-16) calls readers to remember that they were once strangers and foreigners, that they desire a better country, a heavenly one. It’s a graceful, hopeful acknowledgement that we can always do better. The Gospel reading, excerpted from the Sermon on the Mount (Matthew 5:43-48) is a call by Jesus to love not only neighbors but also to love enemies. Does he really mean that? It’s not fun. It’s not easy. In our divided nation, what would it mean if we would and could do what Jesus asked us to do? As I reviewed these readings, calling us to think about who we are on this national holiday, I was struck with how much we have erred and strayed from a righteous vision, from right relationships. The measure of a great nation, it would seem from scripture and especially from the prayer, has to do with an embrace of grace, a commitment to live in righteousness and peace, to let that be shown in compassion, especially towards those pushed to the edges. Independence Day is a holiday, which means it’s a holy day, a chance to reflect on who we are, and who God is calling us to be. Enjoy the celebration tomorrow. Give thanks for our remarkable nation. Pray for our leaders. And consider the call to deeper righteousness, to healthier relationships, marked by compassion. Is there a specific way you can live into that imagination this week? O beautiful for spacious skies, for amber waves of grain, for purple mountain majesties above the fruited plain! America! America! God shed His grace on thee and crown thy good with brotherhood From sea to shining sea! O beautiful for heroes proved in liberating strife, who more than self their country loved and mercy more than life! America! America! God mend thine every flaw, confirm thy soul in self-control, thy liberty in law! O beautiful for patriot dream that sees beyond the years. Thine alabaster cities gleam undimmed by human tears! America! America! God shed His grace on thee and crown thy good with brotherhood from sea to shining sea! It seems to me there are two kinds of people in the world. Those who stand by river’s edge and take the plunge, diving into even very cold water. And those who dip toe in the water, gradual entry, bit by bit, often a more arduous process. I count myself in that second group, especially when it comes to the spiritual journey. When as a young adult, I began to explore the Episcopal Church, I waded in slowly. I’d purposely arrive at church a bit late, locate myself behind a column toward the rear of the church, avail myself of easy exit when service was done. My journey at that time was marked by lots of questions and some confusion about the ways Anglicans worshipped. All that book juggling and liturgical aerobics. I heard words like narthex and verger. Even the word eucharist was new to me. I read in the bulletin about something called the Collect, clearly distinct from the Offertory. I thought: These folks are avid fundraisers. And then there was the Creed. I was struck with how a group of seemingly intelligent folks stood and mouthed the same words, week after week. It often seemed rote. Many seemed bored. I joined in, sort of. I would stand and begin the creed, able to affirm the mystery of a creator. But there were other lines that were perplexing or even unbelievable. Raised a Protestant, I decided I would not say the lines I didn’t particularly like or comprehend. I observed several things. First, no one seemed to mind, or in fact, notice when I stopped talking. The community let me come at my own pace, as I stepped bit by bit into that stream. That was grace. And while I indulged in this defiant personal boycott, the creed still got said. The community continued, and in fact, carried on even if I was unsure or uncomfortable. More than that, the community carried me into deeper belief. You see, over time, I found myself changing, growing, expanding in what I said I believed. For me, it was true that faith is more often caught then taught. It was contagious. I came to say more of the creed, until eventually I joined saints around the world and across the generations in fully making this affirmation of faith. I came to see that the doctrine of the Trinity expressed in the Creed is key, revealing the character of God as mysterious, as relational, as community, as welcoming me into that community, as love. I came to be moved by the creed, words polished over the century. I was moved by the fact that for centuries, people of faith have gathered and said these words. I was moved by the fact that around the world, on any given Sunday, people were saying these words. I was moved by the fact that in red states and blue states, faith was affirmed. Maybe not fully understood. Maybe not even fully believed. But the words got said. On this Monday after Trinity Sunday, the only Sunday of the year dedicated to a doctrine, take time to think about what we believe, about where we give our hearts, which is what belief is all about. Give thanks that God’s love welcomes us, preceding our assent, exceeding our comprehension. And dive into that great stream of saints around the world and across the generations. Or dip your toe in the water, taking a small step into the ever rolling stream, a community on the move that will carry us with our questions and our challenges and our injuries, with our gifts and hopes and love. God as community. Are you ready to join in? Whatever is going on in God is a flow, a radical relatedness, a perfect communion between the Three – a circle dance of love. We can’t have full knowledge all at once. We must start by believing; then afterwards we may be led on to master the evidence for ourselves. Pentecost is sometimes referred to as the birthday of the church, marking that very peculiar day described in the book of Acts when the church began, also described in the gospel of John (chapter 20) when the resurrected Jesus meets the disciples. Jesus sends the disciples out into the world, breathing on them, a conveyance of his grace and power. As he dismisses the disciples, he says to them: As the Father has sent me, so I am sending you. Here’s what I found myself thinking about this week. How exactly does the Father send the Son into the world? A number of things occur to me, by no means an authoritative or exhaustive list. Feel free to add your own insights. First, the Father sends the Son into the world in the most understated way, charting a path of humility. The Son is born to a young unmarried teenage girl. The delivery room was a stable, a shelter for animals. His parents were homeless refugees. He appeared not in Rome or Athens, but in the little no-count town of Bethlehem. Paul describes this journey in a beautiful hymn found in his letter to the Philippians (included below). He says that Jesus took on the form of a servant and did not consider equality with God a thing to be grasped. If that’s how Jesus was sent into the world, as servant, with humility, how are we being sent in a similar way into the world this Monday morning? Second, the Father sends the Son into the world at a specific time and place. Scholars sometimes call this the scandal of particularity, which captures the outrageous grace that God uses real people, as exasperating as that may be. It brings to mind the phrase: I love humanity. It’s people I can’t stand. As the Father sent the Son into a particular time, as Jesus lived his life in a limited geographic area, so we are sent to particular places, to meet particular people, to be of service there. Not everywhere, but somewhere. What specific somewhere, what specific encounters are you being sent into today? Third, the Father sends the Son into the world in a spirit of compassion, a word which literally means suffering with, and which connotes the great love that animates the good news of Jesus. Karen Armstrong, scholar of comparative religion, has noted that compassion is the central value of all great faith traditions. Lord knows a cursory reading of the morning paper will let us know that it is in great demand. As the Presiding Bishop repeats, “if it ain’t about love it ain’t about God.” Jesus comes to stretch out arms of love on the hard wood of the cross to draw us into his saving embrace. That’s what he was sent to do. Apparently, that’s what we are sent to do as well. What are the opportunities before you this day to share and show love, give someone a break, cut someone some slack, look at life from that person’s point of view? Finally, the Feast of Pentecost reminds us that the Father sends the Son into the world with transforming and healing power that calms troubled waters and multiplies snack lunches to feed multitudes and opens blind eyes and opens sealed tombs. The Father sends us into the world with that same resurrection power, which we name and claim, admitting that on our own, we’re capable of little besides ego-centric envy and resentment. This Monday morning, as you are sent out into your world, how can you access this higher power? Those are my thoughts on how it is the Father sends the Son into the world, and how we are sent into the world. You may have others, but take this day as an occasion to see what God is up to in your neck of the woods. Tap into the power that lets you share God’s grace with someone, somewhere, in a spirit of service and compassion this Monday morning. Because Monday matters. Let the same mind be in you that was in Christ Jesus, who, though he was in the form of God, did not regard equality with God as something to be exploited, but emptied himself, taking the form of a slave, being born in human likeness. And being found in human form, he humbled himself and became obedient to the point of death–even death on a cross. This verse from the longest psalm has been on my mind this Easter season. Fun fact (which gives you an idea of what clergy consider to be fun): Every one of the 176 verses in Psalm 119 includes a reference to the law, or teaching, or commandments, or statutes of God. It might be easy to hear those repeated references as promoting rule-based, grace-deprived theology. But there’s another way to look at it. The references to law or teaching or statutes are really about God’s best intention for us, the way we are designed to walk and talk. This psalm offers a prayer that we will be able to see that, that we will appreciate its wonder. So think with me about that prayer to have eyes opened, a prayer for vision, for a new way of seeing, for a new set of lenses, for a new sense of wonder. The Easter season is filled with stories of folks who have eyes opened with wonder. The four gospels present varied accounts of Jesus’ resurrection, but there is this recurrent theme: Folks don’t immediately see the miracle. They need to have eyes opened. In her grief, Mary goes to the tomb on Easter morning (John 20), finds it empty, runs into Jesus, tears clouding vision, thinks he’s the gardener. It’s only when he says her name that her eyes are opened and sorrow turns to joy. Yesterday in church, we read about disciples on the road to Emmaus (Luke 24). Jesus joins them as they walk for miles. As they walk and talk, Jesus gives them a tutorial in the Hebrew Scriptures. They have no idea who he is. It’s only when he blesses and breaks bread that they have eyes opened and run to share good news. Peter pushes his fishing boat off shore (John 21) catches nothing all night (I find it amusing that the gospel never records disciples, who were professional fishermen, catching a fish without Jesus’ help, a subject for another email.) Peter sees a stranger on the shore. It’s only when there’s a miraculous catch of fish that his eyes open to recognize the stranger as Jesus. So what would it take for us to have eyes opened to God’s wondrous ways? Taking cues from the stories in the gospels, it begins by recognizing that God’s presence, Christ’s liveliness is closer than we might think. In the gospel accounts, grief or disappointment or anxiety or fear kept disciples behind locked doors, unable to realize that Christ was present and very much alive. And then their eyes were opened. That can happen to us as well. Are we looking for where Christ is coming? Can our eyes be opened to see the wonder of God’s way in the world? Part of that new way of seeing has to do with our willingness to see what God is already up to in the neighborhood, to steal a phrase from Dr. Dwight Zscheile in his wonderful book, People of the Way. In the same way that disciples failed to recognize the risen Christ, so we often forget that Christ is present in each person, that God is active in all of creation, and in the whole world. So join the psalmist and pray for that miracle to happen. Pray today for a sense of wonder, and for eyes opened to see God’s gracious ways in our world. Suggested spiritual exercise for this week: Read Psalm 119 in one sitting. Sometimes heaven is just a new pair of glasses. When we put them on, we see the awful person, sometimes even ourselves, a bit more gently, and we are blessed in return. It seems, on the face of things, like a decent deal. Aren’t you ready for some good news? What would it sound like? He gets right to the point as he begins his gospel: “The beginning of the good news of Jesus Christ, the Son of God.” He’s telling reader where the story is headed. The gospel ends with Jesus instructing his disciples to go out and spread good news. In other words, Mark is living into the wisdom of teachers in many fields. He tells you what he is going to tell you. He then tells you. After that, he tells you what he told you. He writes a gospel. The word “gospel” really means good news. He is called an evangelist. The root of that word, evangel, means good news. Are we getting the point? If the story of Jesus is about anything, it is about good news. The urgency in Mark’s style reminds us that we live in a world literally and figuratively dying for good news. 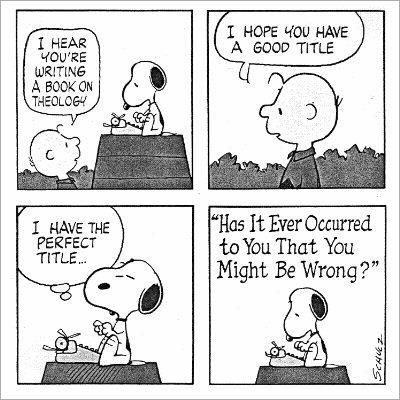 Given that context, if our faith is not about good news, why bother? We need to get back to the good news. Think of a time when you heard really good news. When my son was born in a New York hospital, I was sent home to fetch stuff, a walk of a number of long city blocks. At every corner, waiting for the light to change, I told perfect strangers that I was now a father, and in fact, that the most adorable baby ever born had just arrived at St. Vincent’s Hospital. The irrepressible good news was new life. I confess I’ve never been that effusive about my spiritual life. It’s private, personal and after all, I’m Episcopalian. One preacher made the point that we have no problem telling other people about a great book, restaurant, or movie we have discovered. But when it comes to the good news of the Spirit, we often go silent. Sure, there is good reason for that. We all know evangelism gone amok, evangelism that does more harm than good, evangelism that is really bad news. Maybe even fake news. But that doesn’t remove the question: How would we describe the good news of our faith? What language would we borrow? For me, the good news sounds something like this. We are loved, as is. We are blessed. We are in this together. We are forgiven. Our mistakes and sins don’t define us. There is always a way back. Life is shot through with beauty and meaning. Life is found when we give it away. Healing happens. There is hope. We are not alone. God, for some mysterious reason, chooses to use us. Love wins. Or as we might say at Easter, a dead end becomes a threshold, a tomb bursts with life. Heaven happens. It will be a place of healing, especially of those relationships I messed up and never resolved. So what is the good news for you? This Monday morning, I invite and maybe challenge you to think about how you would articulate the good news of your faith. Because we live in a world that really needs to hear some good news. Suggested spiritual exercise for this week: Take an hour in a quiet corner and read the whole gospel of Mark. Read it in one sitting. When you’re done, ask yourself: What’s the good news here? How beautiful upon the mountains are the feet of the messenger who announces peace, who brings good news. Jesus said to the apostles, “Go into all the world and proclaim the good news to the whole creation. So I made it through Lent without this particular liturgical lapse. I never said the A-word in church. That has not always been the case in years past. Having noted all that, had I been consulted when the design team got together to create liturgical customs (good thing I wasn’t), I might have said that we need to say “Alleluia” all year long. Perhaps we especially need the A-word when we’re mindful of the brokenness of our world and of our own spirits, the mindfulness that accompanies Lent. I’m not alone in thinking this. Ten days ago, my wife and I heard Anne Lamott speak. One of my spiritual guides, she has come out with a new book entitled Hallelujah Anyway: Rediscovering Mercy. The title is taken from a gospel song by Candi Stanton, which according to Ms. Lamott says that “in spite of it all, there is love, there is singing, nature, laughing, mercy…As Father Ed Dowling said, sometimes heaven is just a new pair of glasses. When we put them on, we see the awful person, sometimes even ourselves, a bit more gently and we are blessed in return…The good news is that God has such low standards and reaches out to those of us who are often not lovable and offers us a chance to come back in from the storm of drama and toxic thoughts.” That good news causes us to say hallelujah anyway. Two other spiritual guides, Joan Chittister and Rowan Williams touched on the same theme when they wrote a book together a few years ago. It’s called Uncommon Gratitude: Alleluia For All That Is. Archbishop of Canterbury Rowan Williams often says that, no matter what, the proper stance of the Christian in the world is one of gratitude. No matter what. Joan Chittister introduces the book by saying that she and the Archbishop agreed on this: “Life itself is an exercise in learning to sing alleluia here in order to recognize the face of God hidden in the recesses of time. To deal with the meaning of alleluias in life means to deal with moments that do not feel like alleluia moments at all. But how is it possible to say alleluia to the parts of life that weigh us down, that drain our spirits dry, that seem to deserve anything but praise?” Good questions. Good answers in their book. Finally, wisdom from one more spiritual guide, Elie Wiesel, survivor of concentration camps. Here’s part of what he said when he received the Nobel Prize for his writing: “No one is as capable of gratitude as one who has emerged from the kingdom of night. We know that every moment is a moment of grace, every hour an offering: not to share them means to betray them. Our lives no longer belong to us alone; they belong to all those who need us desperately. And that is why I swore never to be silent whenever and wherever human beings endure suffering and humiliation. We must always take sides. Neutrality helps the oppressor, never the victim. Silence encourages the tormentor, never the tormented.” Mr. Wiesel teaches that an attitude of gratitude, which sees every moment as a moment of grace, has power to change the world, and of course reminds us that we say “alleluia” not only with our lips but with our lives, not only in good times but in bad. So on this first Monday in the Easter season, whatever it is you face, joy and challenge, cost and promise, make it your practice to say hallelujah anyway. Alleluia for all that is. Recognize every moment as a moment of grace. Alleluia already. O my soul! I will praise the Lord as long as I live; I will sing praises to my God while I have my being. How good it is to sing praises to our God! How pleasant it is to honor him with praise! Sing to the Lord a new song; sing his praise in the congregation of the faithful. Praise God in his holy temple; praise him in the firmament of his power! Let everything that has breath praise the Lord! Hallelujah!